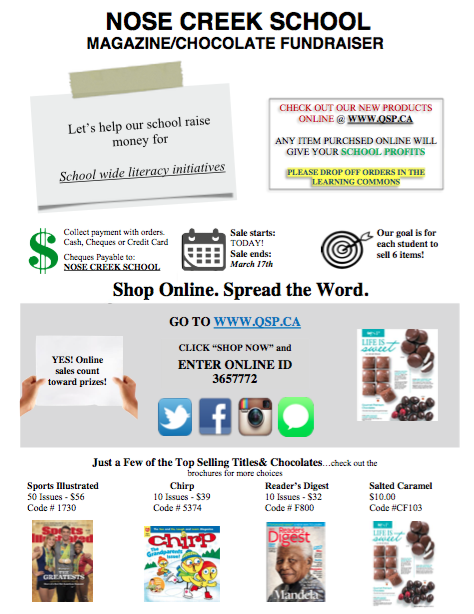 Friday March 3, 2017 marks the kickoff assembly for our annual QSP magazine fundraiser. This event supports school wide literacy at Nose Creek School - Thank you for your support. If you have any question please email Mrs. Bennett. All paper orders go to Mrs. Bennett in the Learning Commons. ﻿EASY ACCESS TO CPL WEBSITE FOR CBE STUDENTS AND STAFF. This is very exciting news! All CBE staff and students have easy access to CPL website and it's resources. EASY! Please show your students!! There are a lot of great resources on the CPL Website, including audio books and tumble books. Also hoopla and overdrive are great APPS that students can download to their devices and be used through the CPL website. Summer is coming fast, I promise! Don't forget to signup for the Calgary Public Library Reading Program this year. It is easy and can be done online from anywhere. 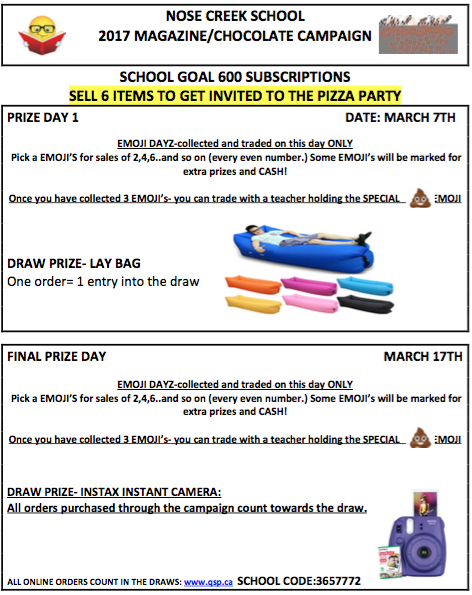 There are many great prizes to win. Watch the video below for more information. Adopt a shelf week 3 - even the grade 9's want to be a part of it! Adopt a Shelf in the N.C.S. L.C. This week we started the Adopt a Shelf program at Nose Creek School. Students who sign up will get their own shelf in the L.C. where they can promote the books that they love. 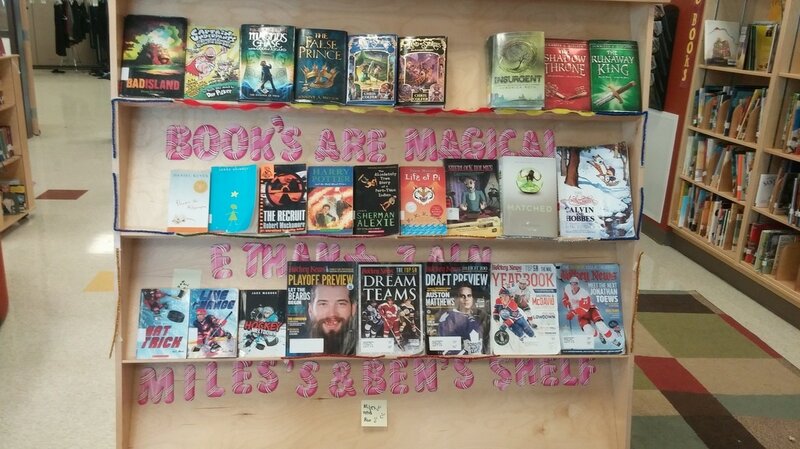 They are in charge of promoting and maintain their shelves in order to get the books signed out by their peers. They will have two weeks to do this. We started this program on Tuesday and the students are loving it. Currently we have 10 students signed up. Some students share a shelf with their friend and some want the entire shelf to them selves. I have given them supplies in order for them to decorate their shelves. 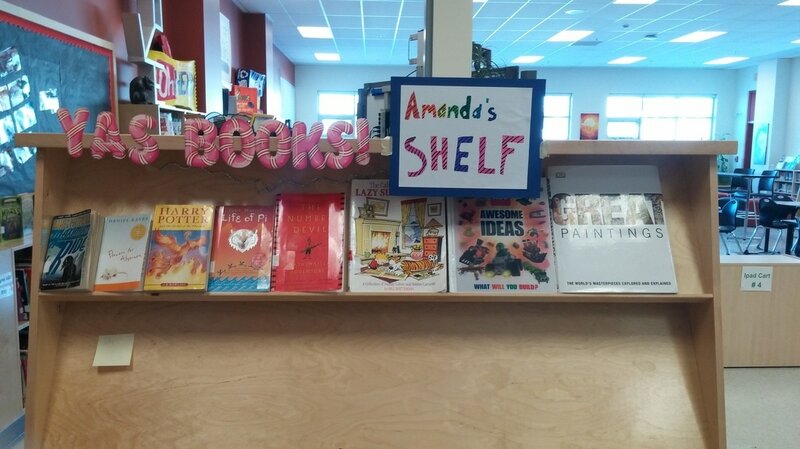 As you can see in the pictures Amanda's shelf is the most popular right now. 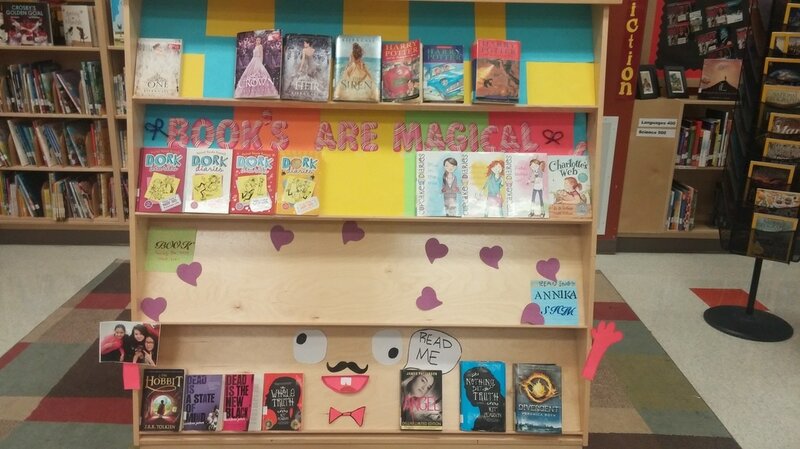 She has great signage, decorations in order to catch your eye and she has supplied her peers with free book marks to promote her shelf. 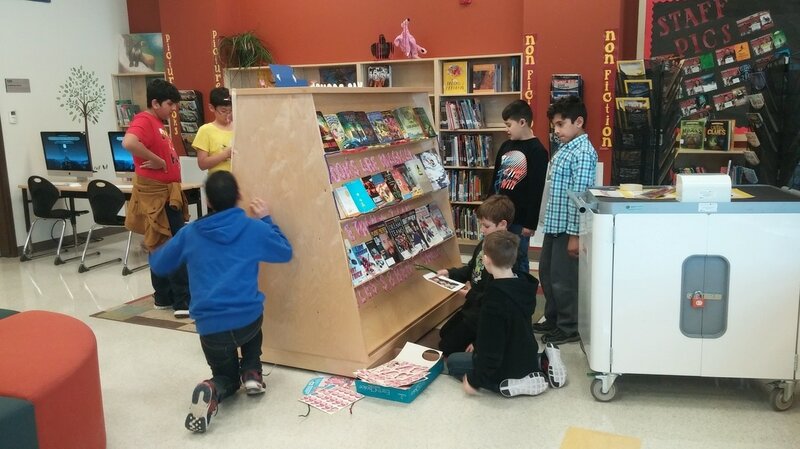 During lunch yesterday we had many students working on their shelves. This created a lot of curiosity about the shelves and I had questions like "Why do they get their own shelves?" "Can I have my own shelf?" and my answer to that was "of course you can!" I am hoping this exciting continues and grows! Grade 6 short stories about mythical creatures on display in the L.C. - Please come read these fantastic stories. TO REGISTER: call 403-260-2620 or visit the Calgary Public Library. 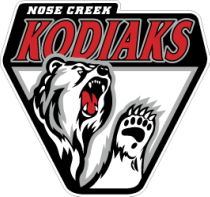 Go to: http://www.nckodiaks.ca/ (the Kodiak cave) > Students>Elibrary> type your id number and password (the number and the password that you use to log into the computers) > Click on My Account>Click on checkouts. This is the same place to search for books. 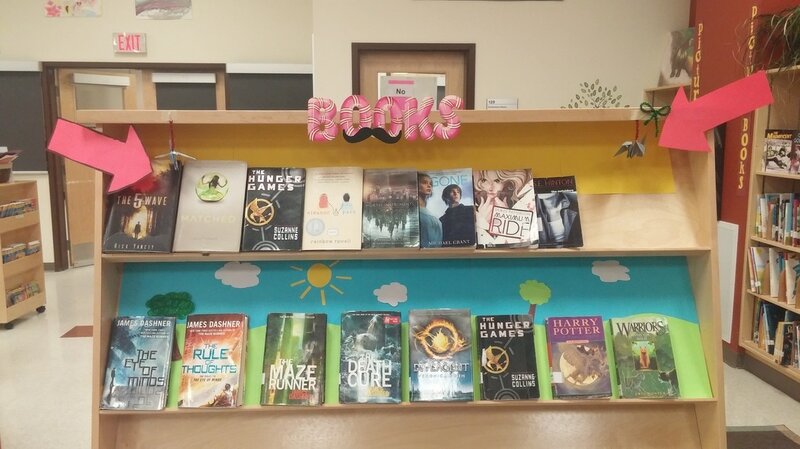 Be sure that you have selected Nose Creek School when searching books. Our L.C. is open all day every day. You can access the L.C. during class time with permission from your teachers. You can also come before school, at nutrition break, at lunch and after school. 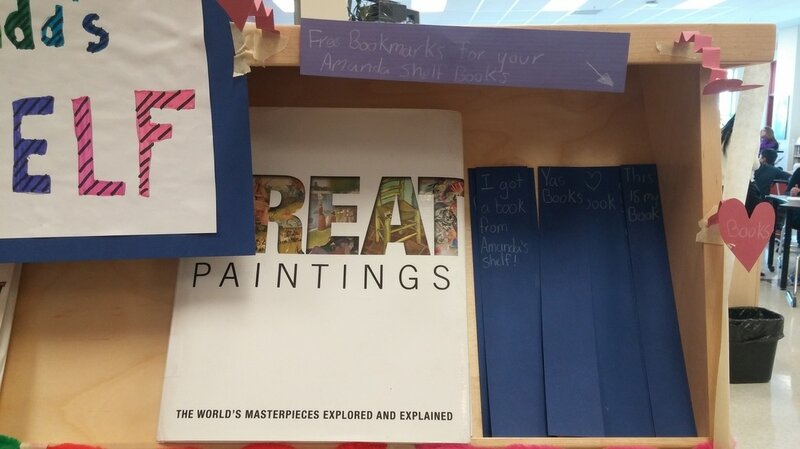 Our school does independent book exchange not full class book exchange. This is the same process that Coventry Hills School uses. Please come visit Larry, Curly, Moe and my self in the L.C.! I would love to meet you. 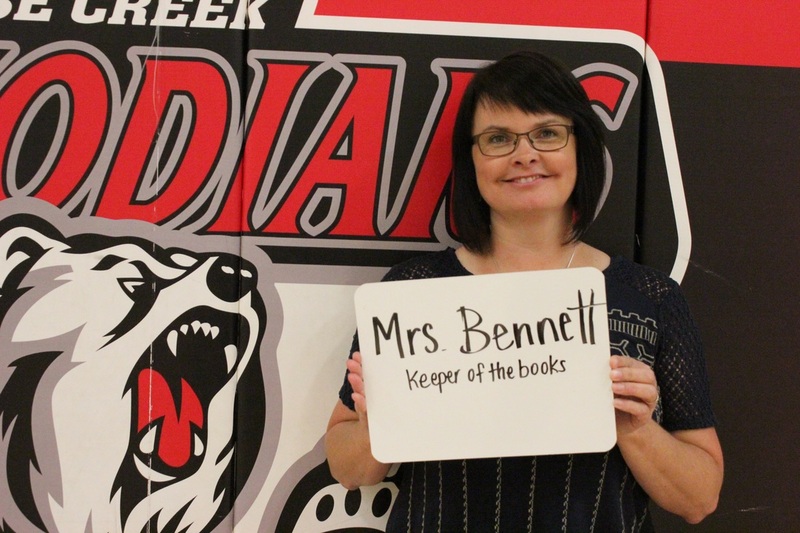 Mrs. Bennett is the Learning Commons Assistant at Nose Creek School. She is always willing to help students find great new reads. Fiction, Nonfiction, Graphics and Mags, we have them all.